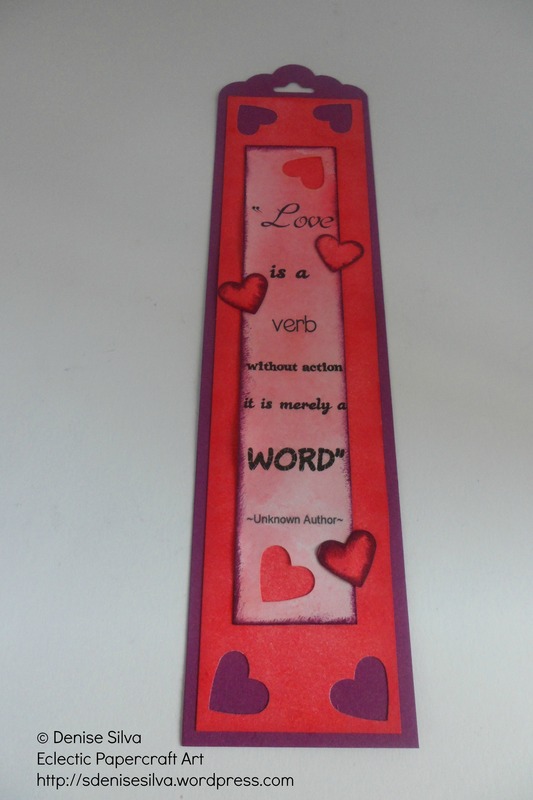 I am in love with this bookmark, this one is one of my favourites! 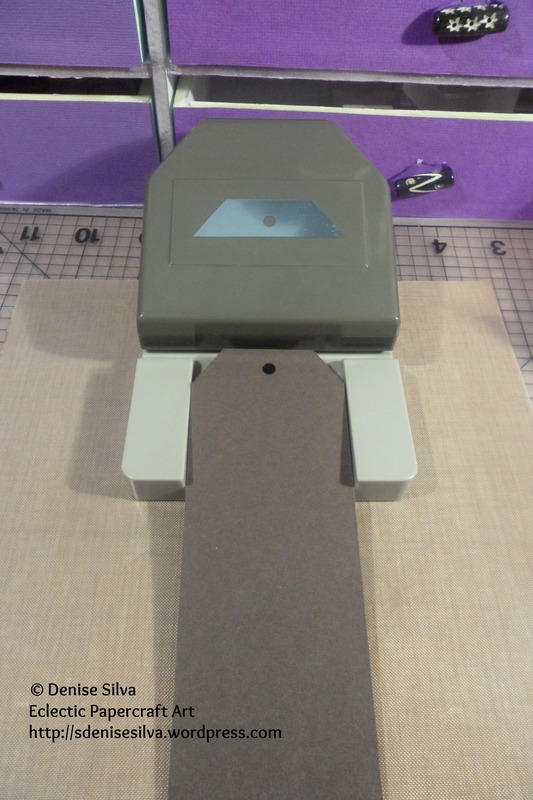 Once again I start my first layer by punching the piece of brown cardstock, measuring 19,5cm x 5cm, with the Angled Tag Topper Punch. 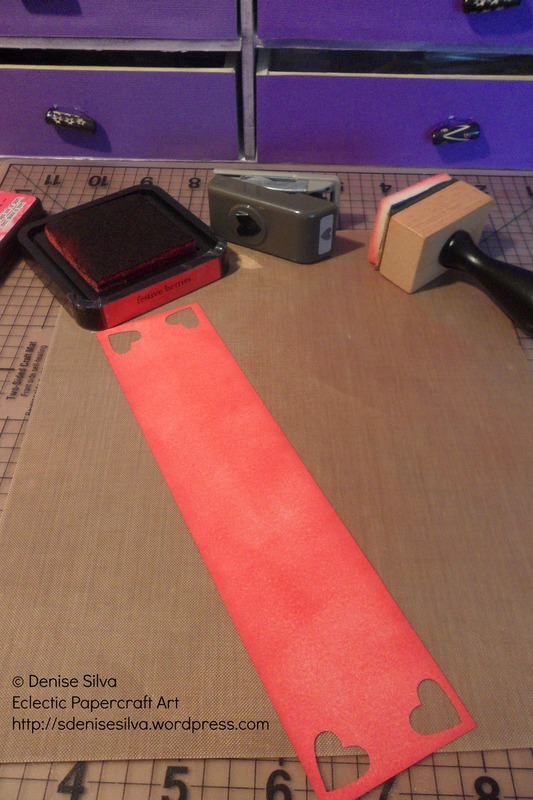 For the second layer I start by tearing my quote to use it as a guide on where am I going to stamp, and in this case I even made a mark that I erased later. 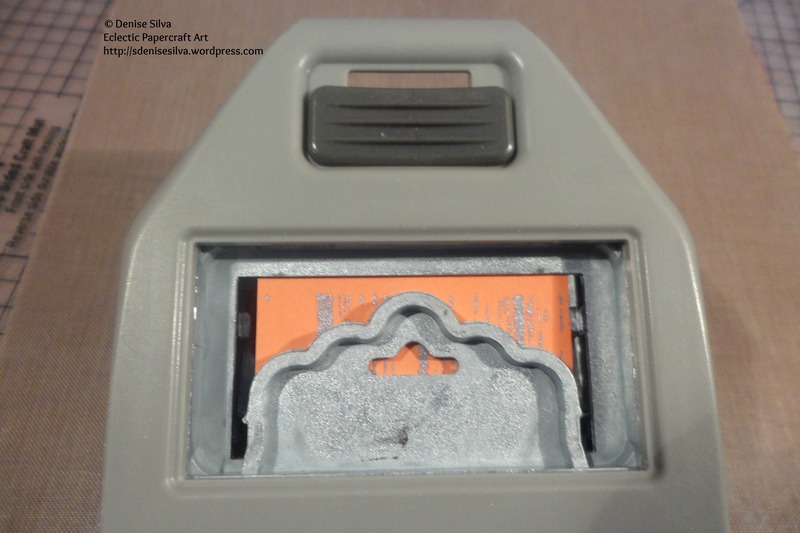 Then I stamped the door handle from the Hardware clear stamp set, using Midnight Black ink. 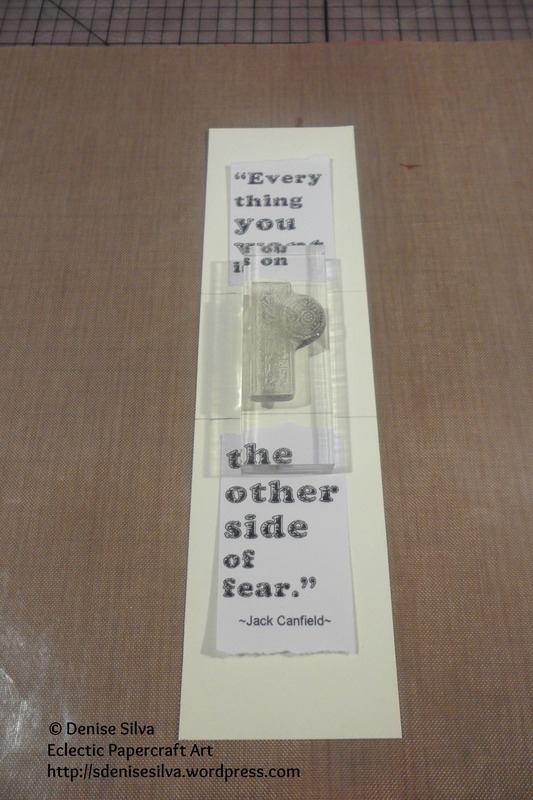 To stamp the wall on the background I had to use a piece of paper to avoid stamping on top of the door handle. 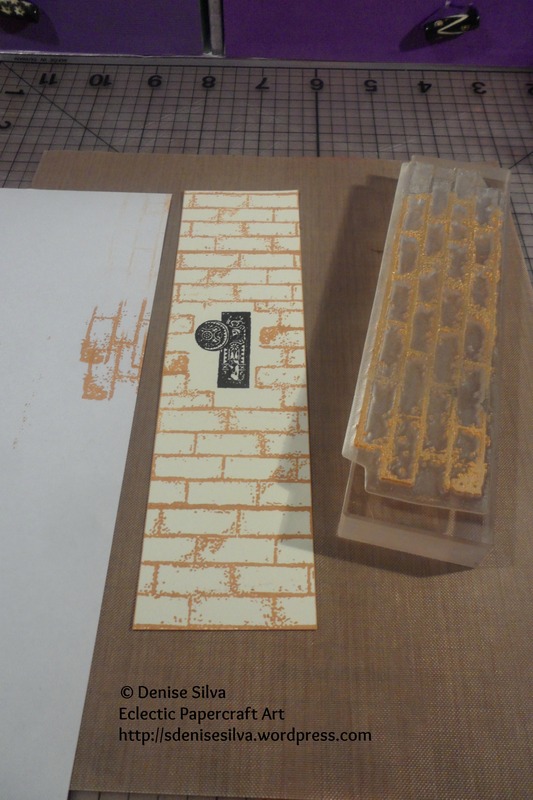 Here I used the Old Wall Stamp, and Pumpkin Spice ink. 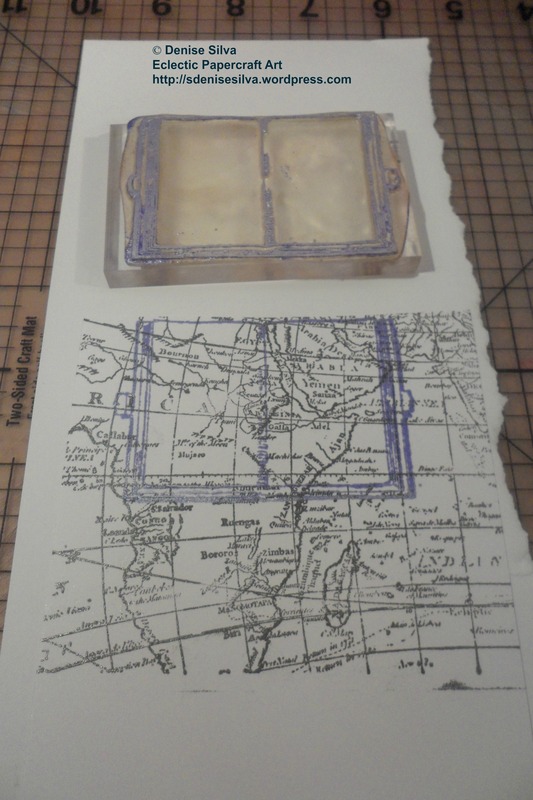 Then I just inked the edges with the same ink. 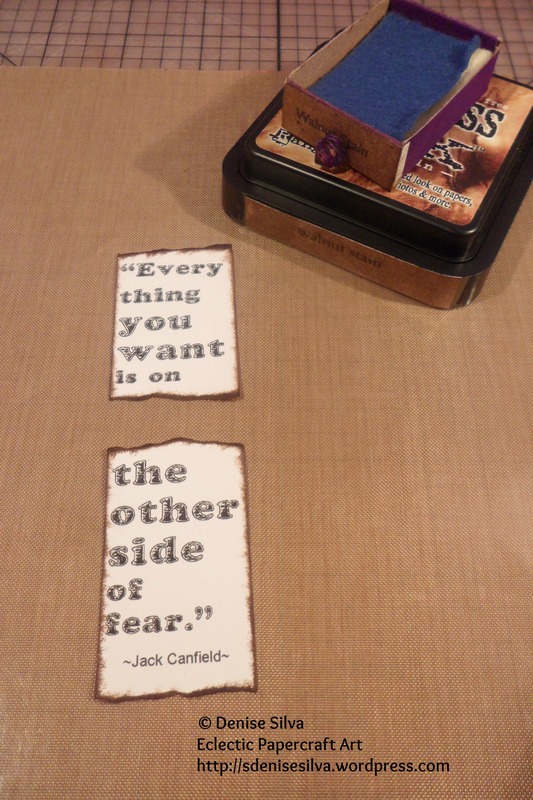 The edges of my quote were sponged with Walnut Stain distress ink. 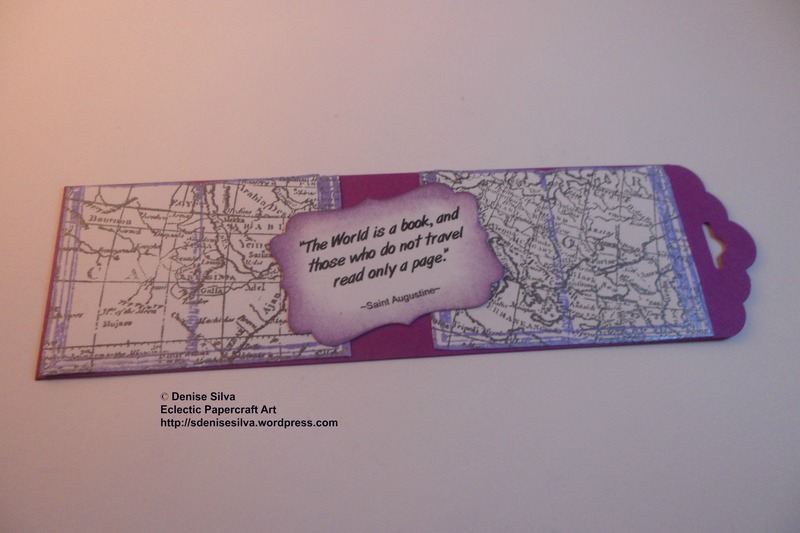 I just love the bookmark after it’s assembled. Today is a very special day, at least for me anyway. The 16th of May is my birthday, for that reason today I wanted to bring a gratitude quote, so here it is! Have fun and thank you for sticking around with me. 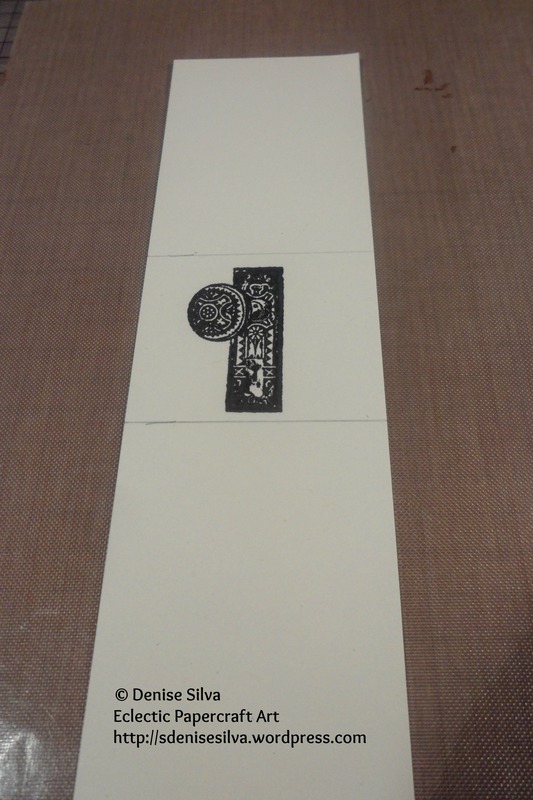 A piece of Early Espresso cardstock measuring 21cm x 5cm by Stampin’ Up! 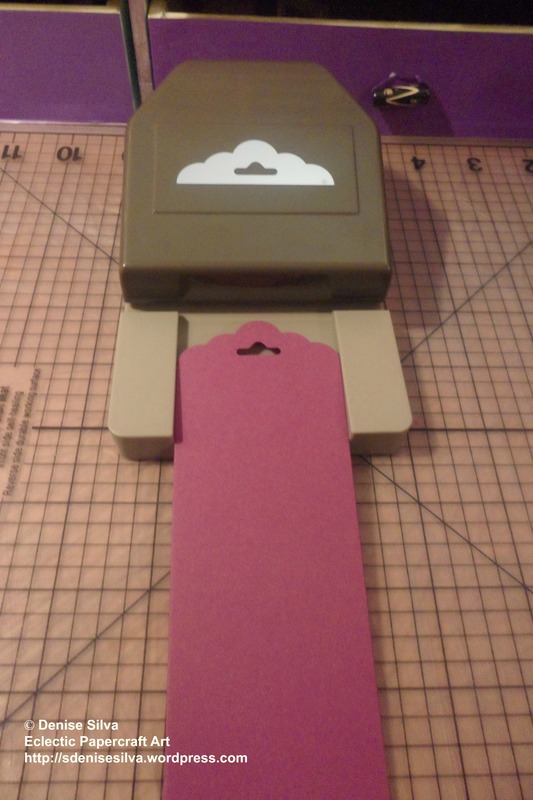 A piece of Crumb Cake cardstock measuring 18,5cm x 4,5cm by Stampin’ Up! 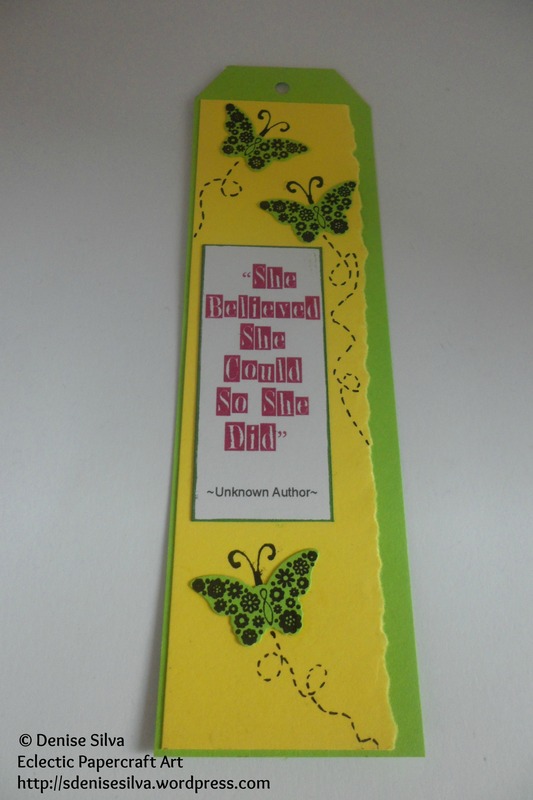 A piece of Very Vanilla cardstock measuring 10,5cm x 4,5cm by Stampin’ Up! 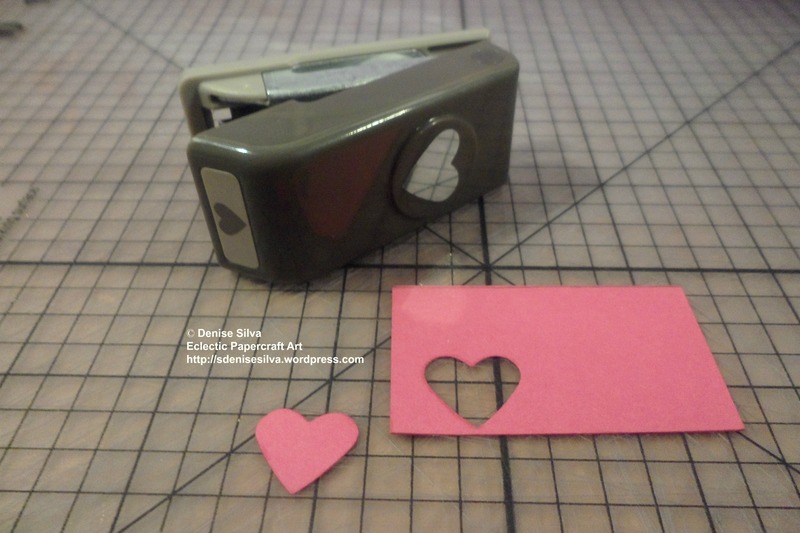 A piece of Early Espresso scrap paper by Stampin’ Up! 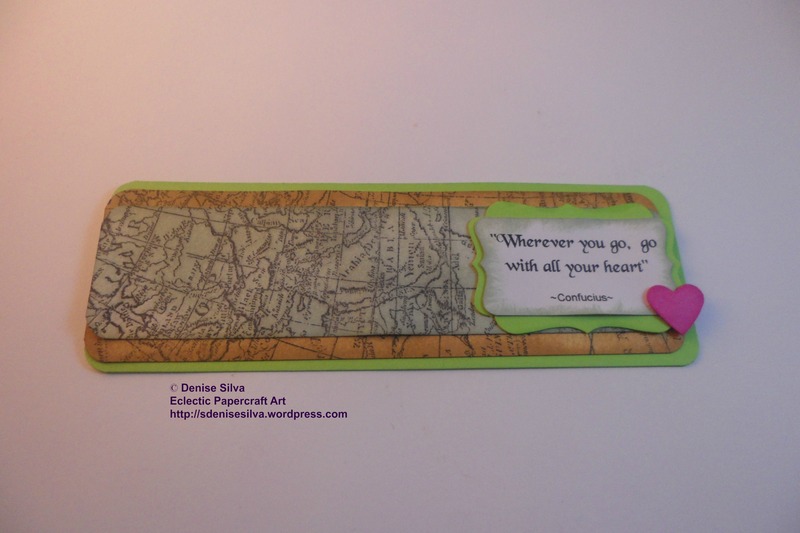 A piece of Whisper White scrap paper by Stampin’ Up! 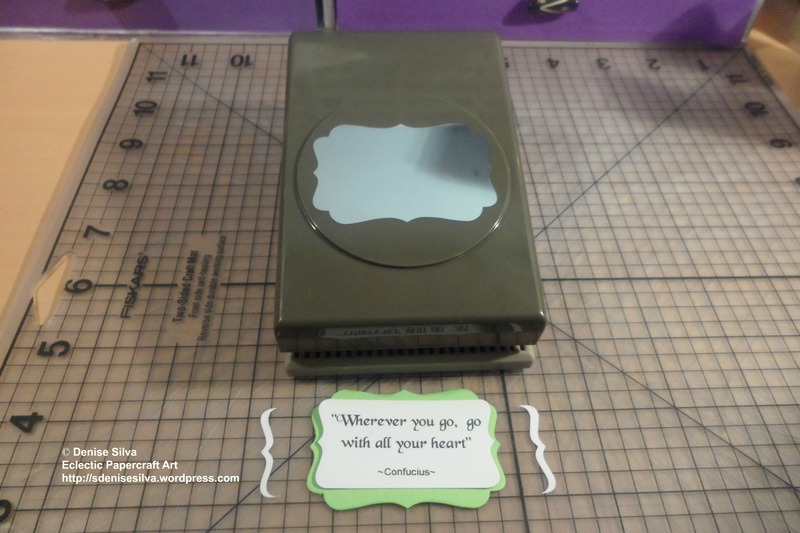 Curly Label Punch by Stampin’ Up! 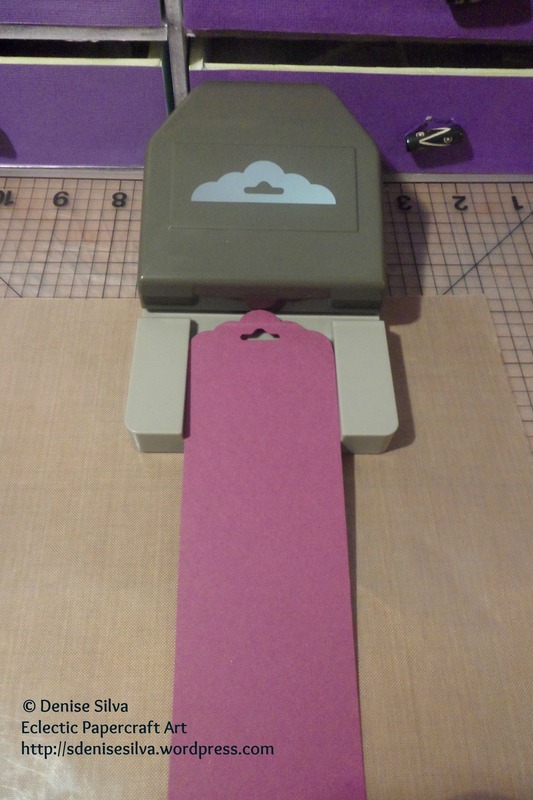 Oval Scallop Punch by Stampin’ Up! 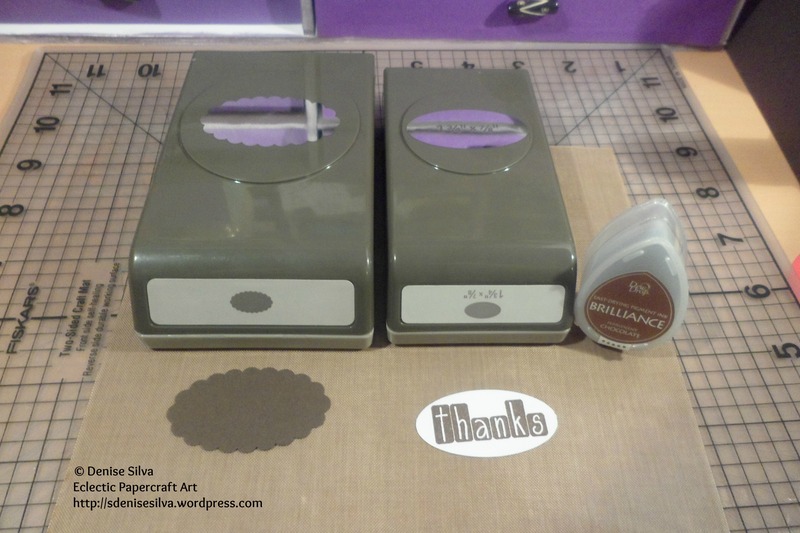 Oval Large Punch by Stampin’ Up! 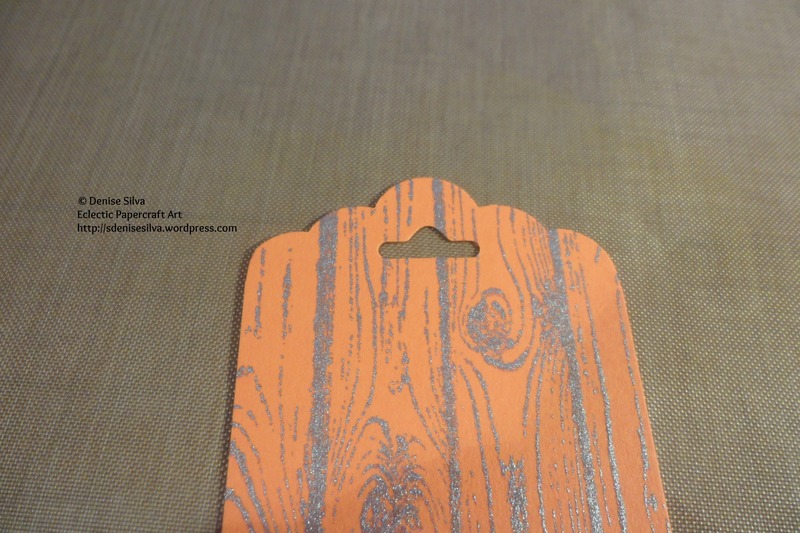 * The cardstock I used is from a collection called Neutrals, available in A4 and 12×12 size. 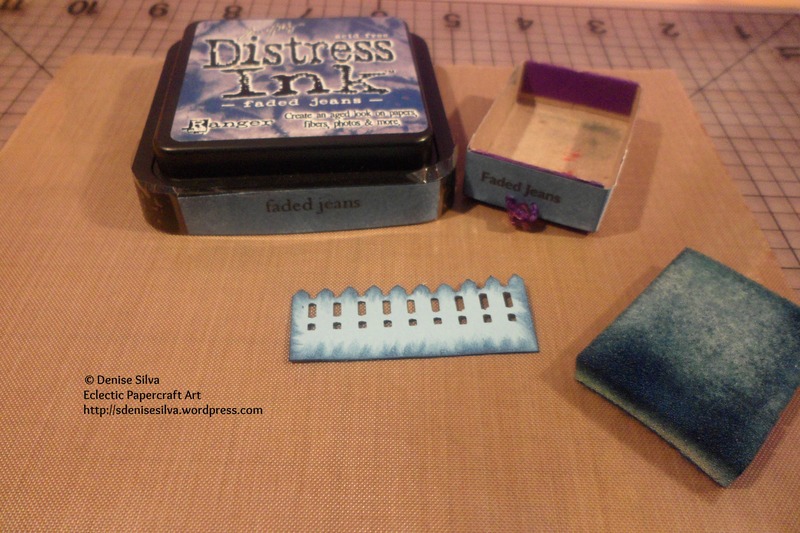 ** You won’t find this stamp available as this is a thank you gift from The Stamps of Life. As the name indicates that was my two years gift for being a subscriber. 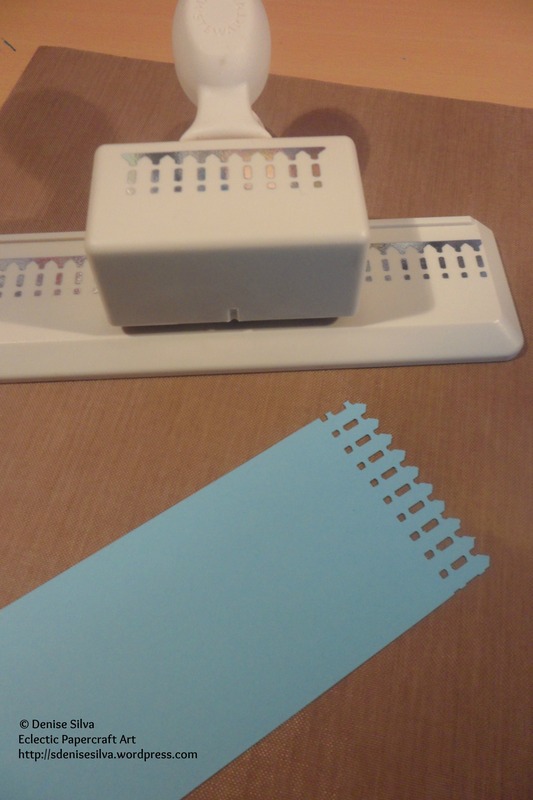 but I’m sure we all have stamp sets with the word ‘thanks’. 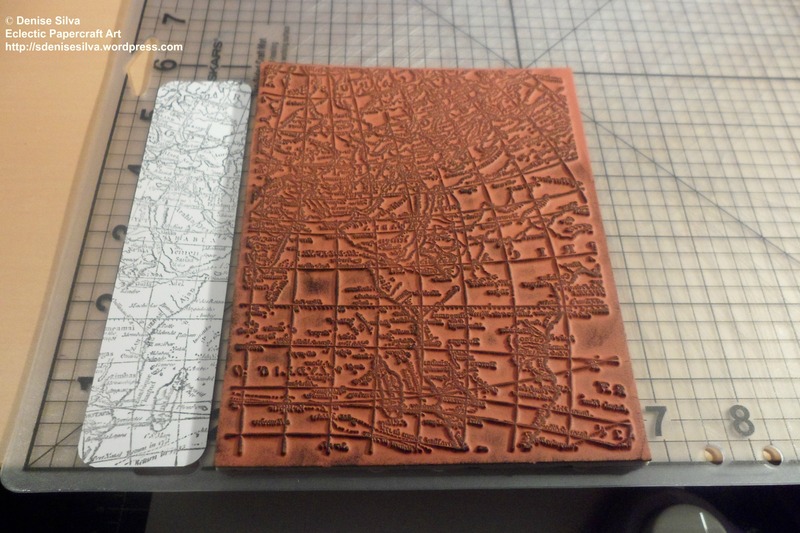 I started my first layer punching the Early Espresso cardstock, measuring 21cm x 5cm, with the Scalloped Tag Topper Punch. 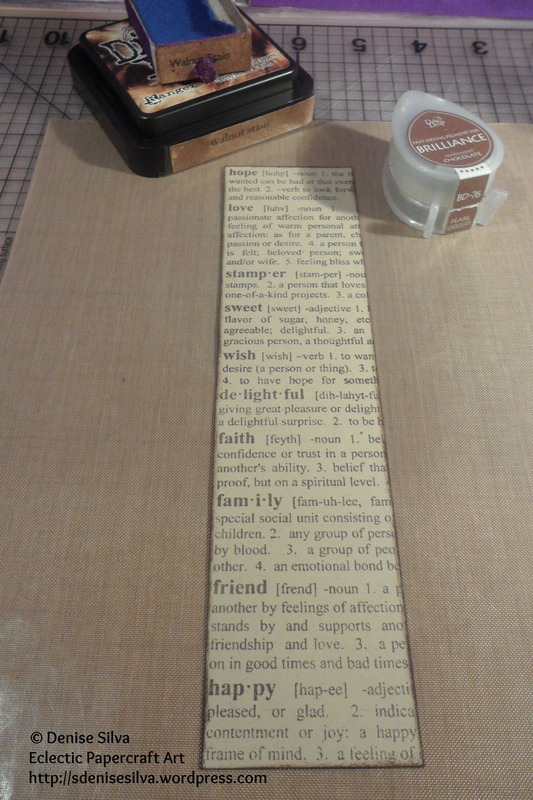 Using the Crumb Cake cardstock, measuring 18,5cm x 4,5cm, I stamped it with the Dictionary4me stamp, using Pearlescent Chocolate ink, and sponged the edges with Walnut stain distress ink. 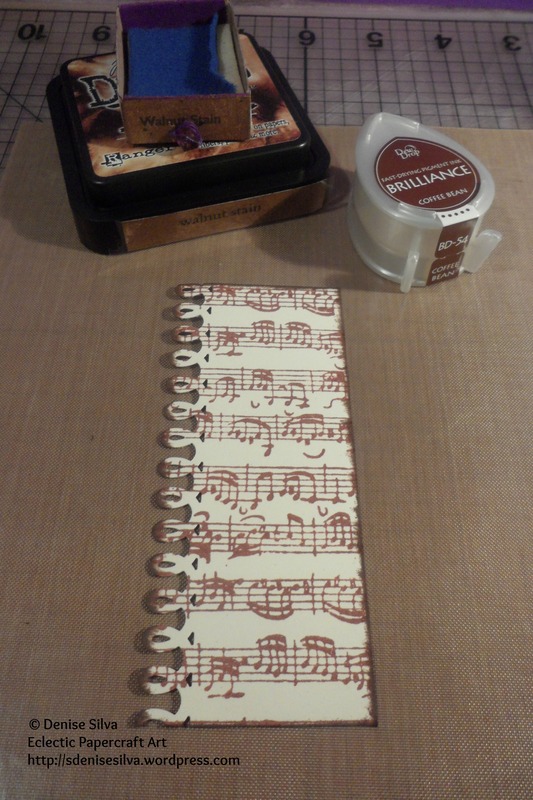 For the third layer I used a piece of Very Vanilla cardstock, measuring 10,5cm x 4,5cm, stamped the Music Background stamp set with Coffee Bean ink. 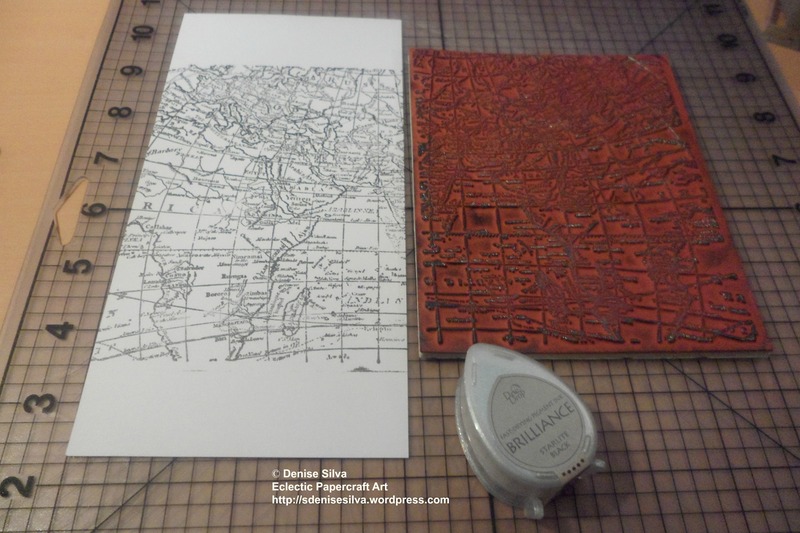 Once the ink was dry I used the Around the Page Loops Border punch on the right hand side of the paper, and sponged the edges with Walnut stain distress ink. 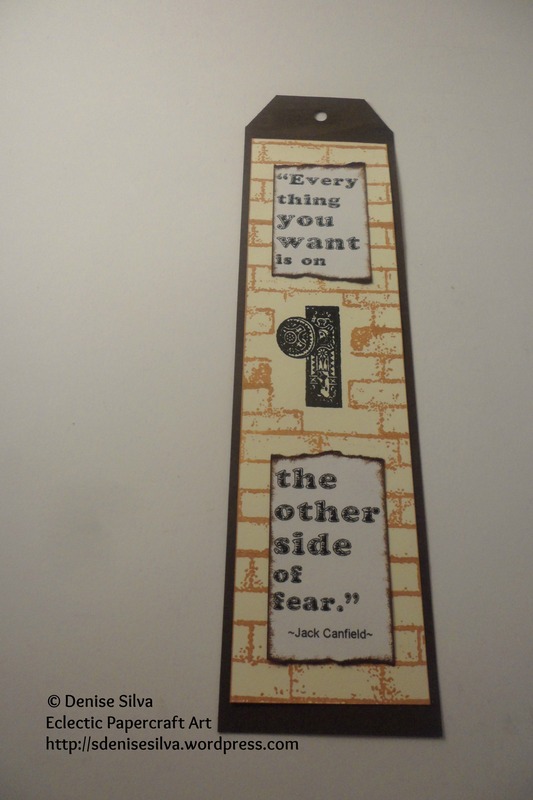 I then punched out my quote with Curly Label Punch, and again sponged the edges with Walnut stain distress ink. 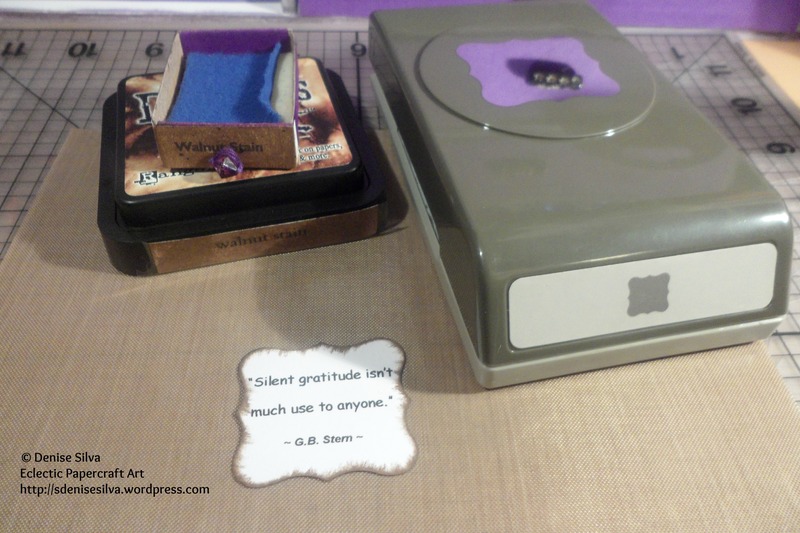 The quote wasn’t enough for me, so I added a thank you by stamping the word on a piece of scrap paper and then punching it out with the Oval Large Punch, then I punched another piece of scrap paper with the Oval Scallop Punch, and assembled everything. 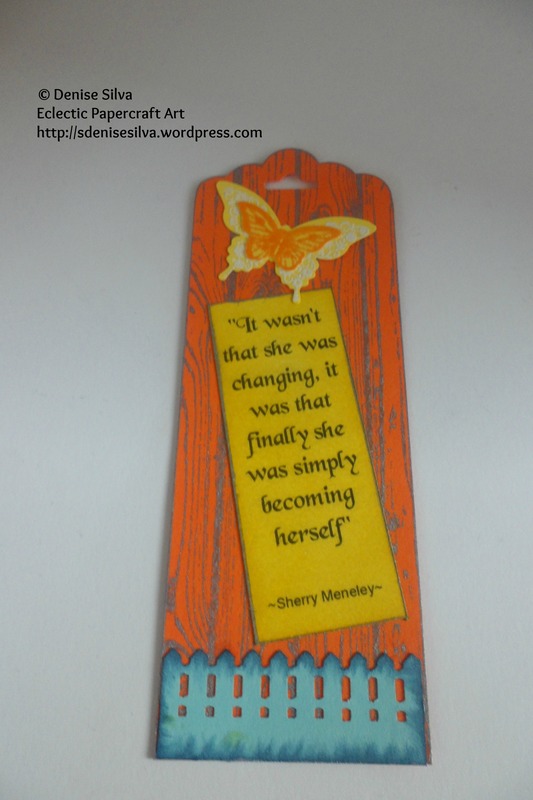 Today I bring you a quote, that I love, by Sherry Meneley. 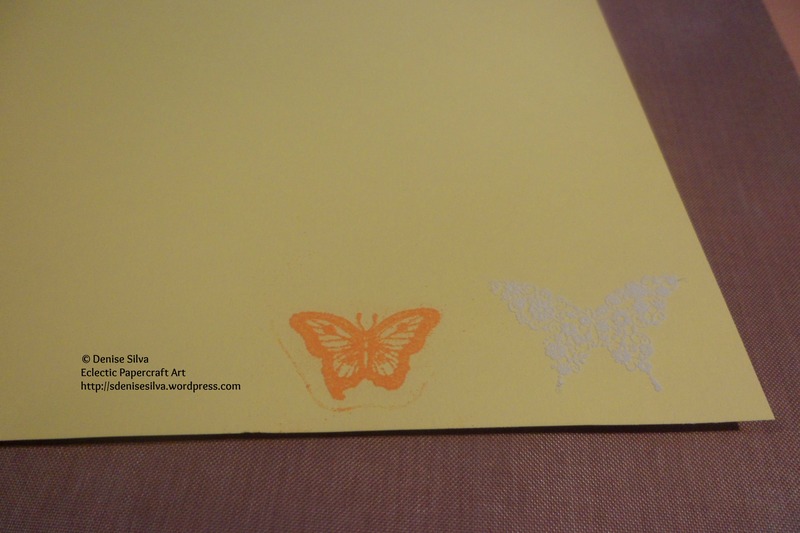 Elegant Butterfly punch by Stampin’ Up! 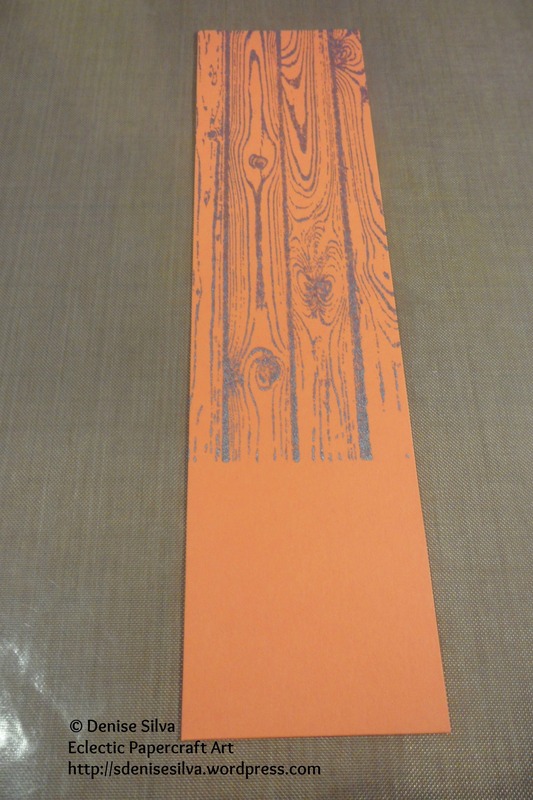 Hardwood background stamp by Stampin’ UP! Some sort of glue. 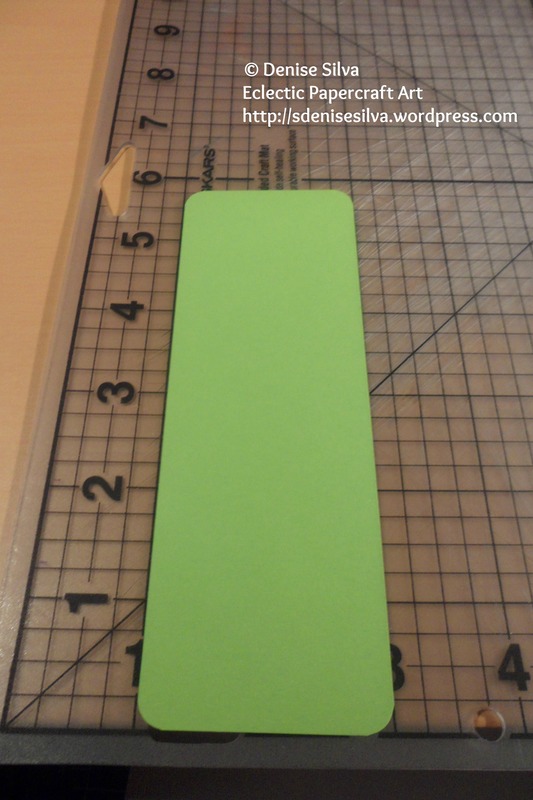 I used liquid glue and snail adhesive. 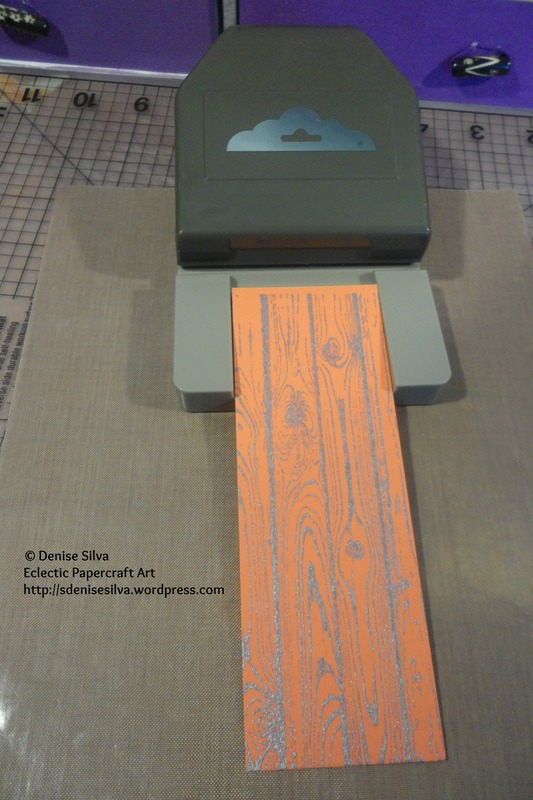 This time I started by stamping my first layer with the Hardwood background stamp, with Pearlescent Lavender ink, and set it aside to dry. 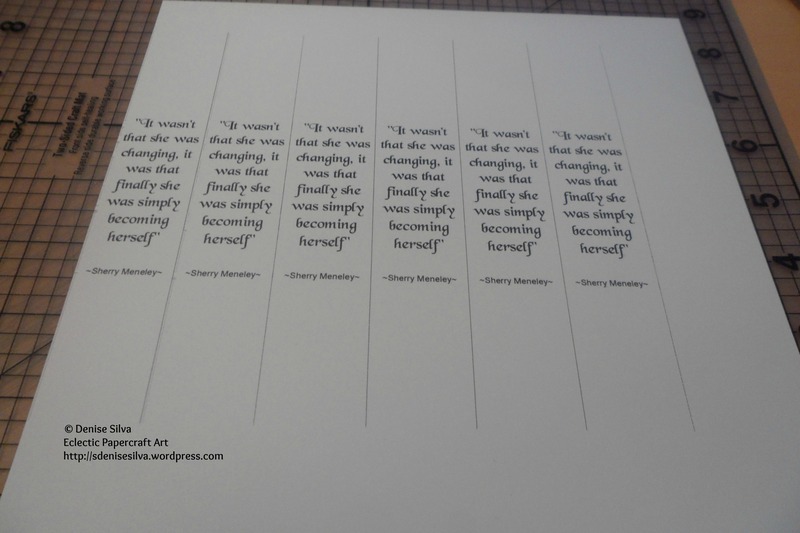 This is one of the ways I print my quotes, using a word processor sheet (I use OpenOffice), I create a table with one cell and seven columns, where I type my quote. 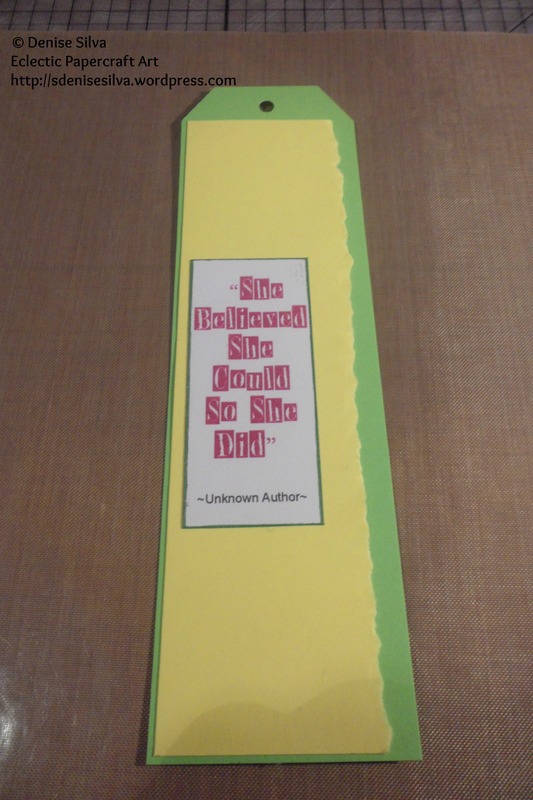 That’s why my quotes usually have 3cm width, then I trim the height as I see fit. 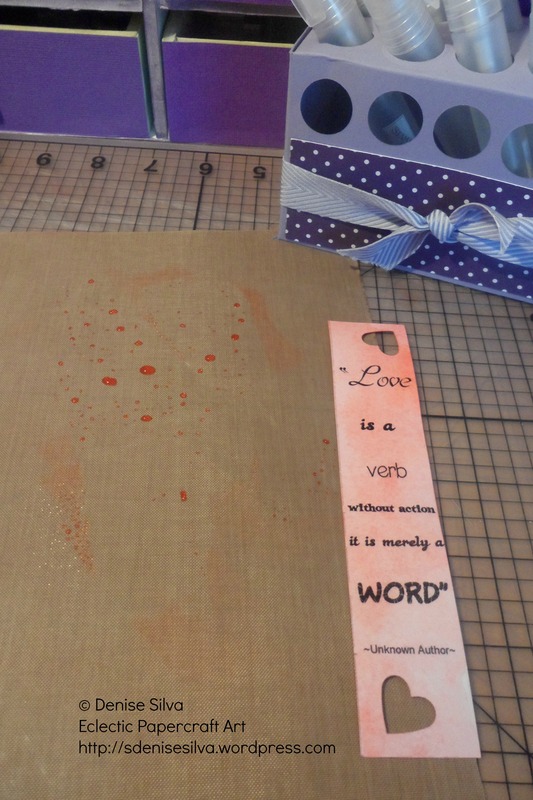 After trimming my quote to 7,5cm, I distressed it with Mustard Seed distress ink, and inked the edges with Pearlescent Lavender ink. 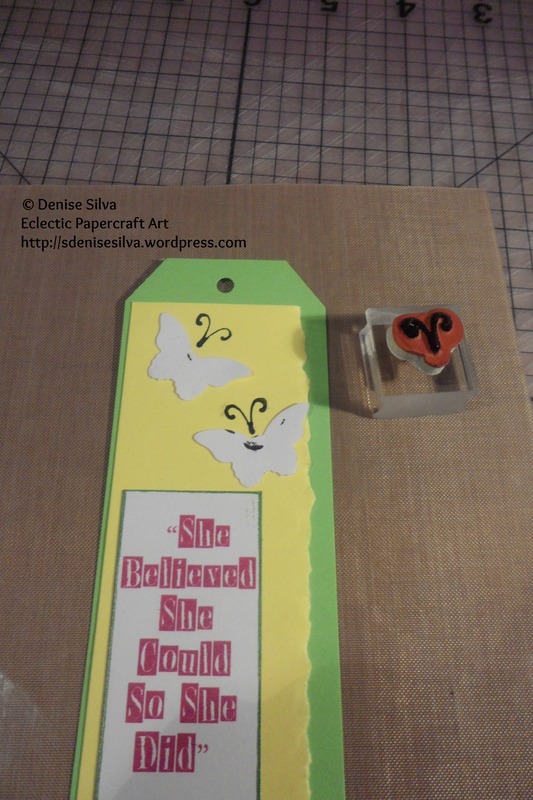 I then stamped two butterflies, with different sizes, from the Papillon Potpourri stamp set, with embossing ink on yellow cardstock, using opaque white embossing powder on the bigger butterfly, and orange embossing powder on the smaller, and heat embossed them. 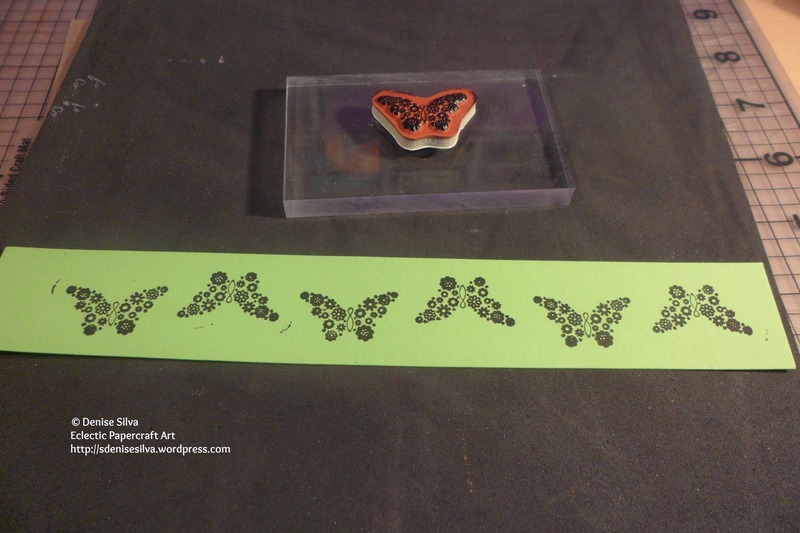 I took pictures of the butterflies stamped with the embossing ink, but I was using clear embossing ink… So the pictures don’t show anything. 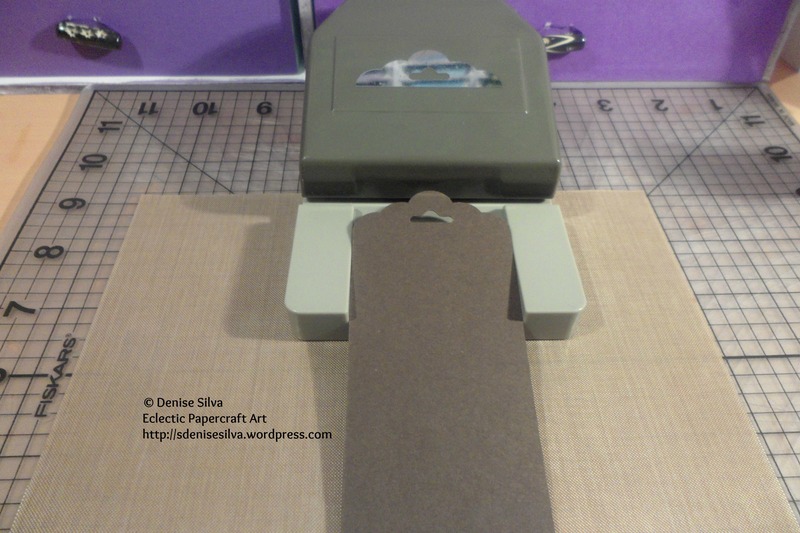 If you are not familiar with heat embossing have a look at some videos on YouTube, you will find great tutorials. 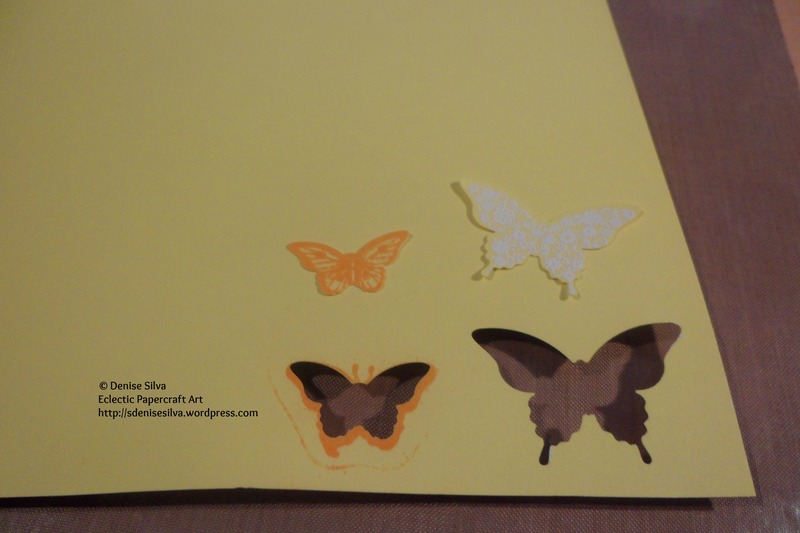 I then punched them out with the Bitty Butterfly punch (orange butterfly), and Elegant Butterfly punch (white butterfly) and both punches coordinate with Papillon Potpourri stamp set. 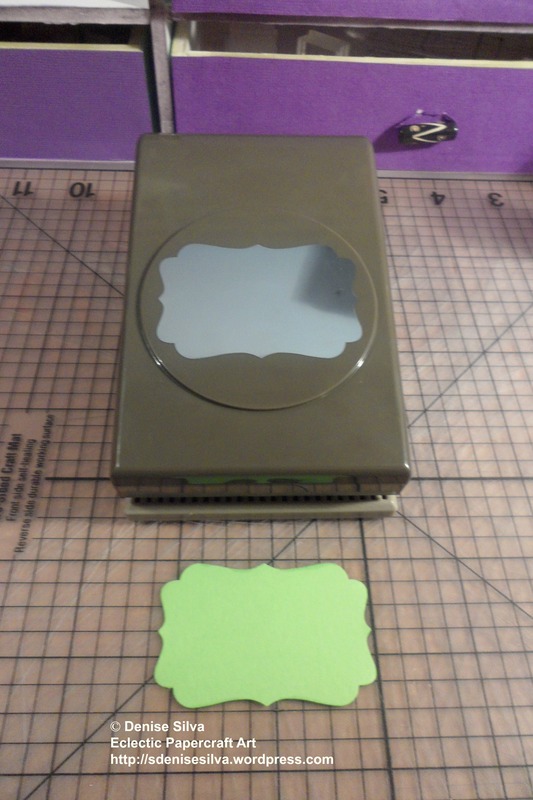 Only then I returned to my first layer, trimming it to 14,5cm, knowing that I would lose about 2mm when using the Scalloped Tag Topper Punch by Stampin’ Up!, making it ok to leave an area that was not stamped. 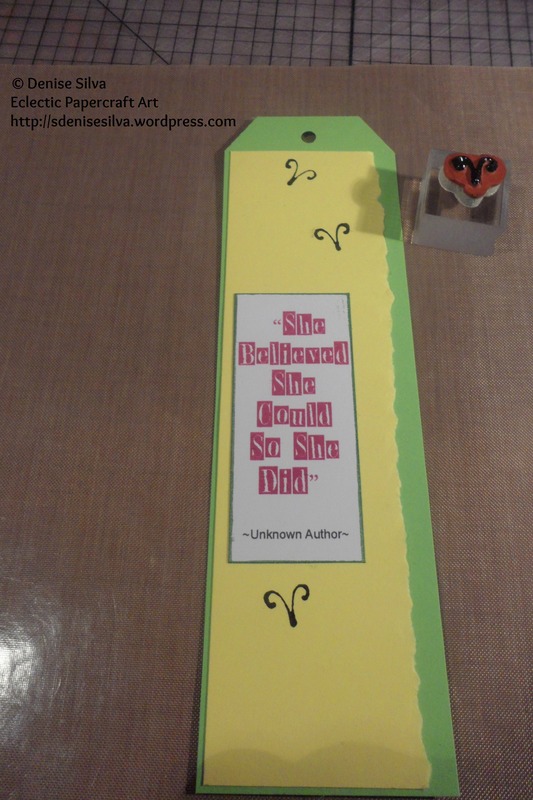 I assembled the bookmark using liquid glue for the fence and the butterflies to secure them better, and snail for the quote. 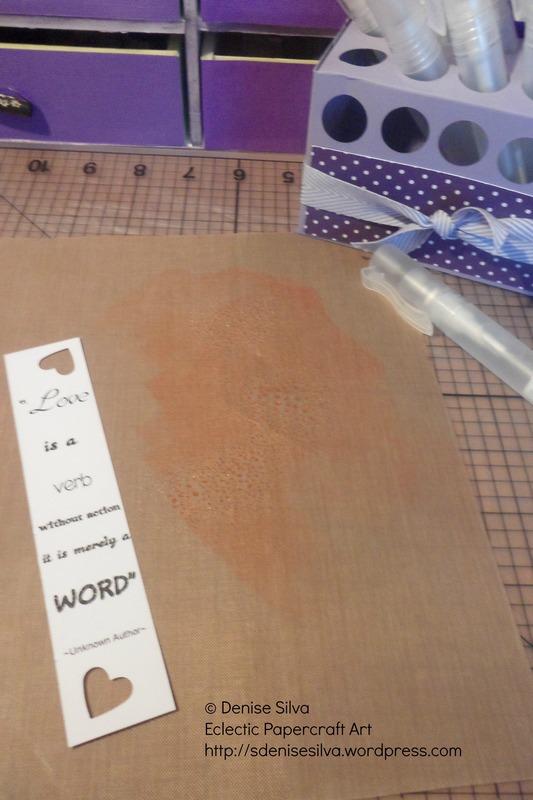 Stampin’ Spritzer Bottle by Stampin’ Up! 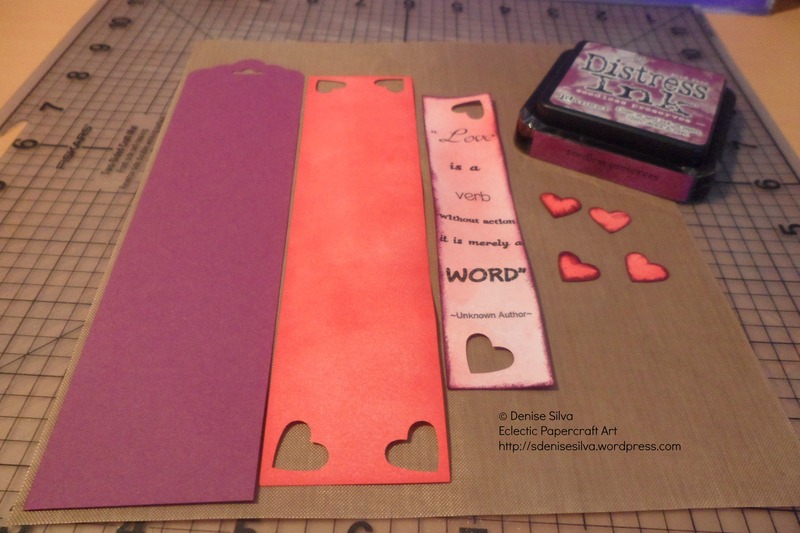 Heat tool by Stampin’ Up! 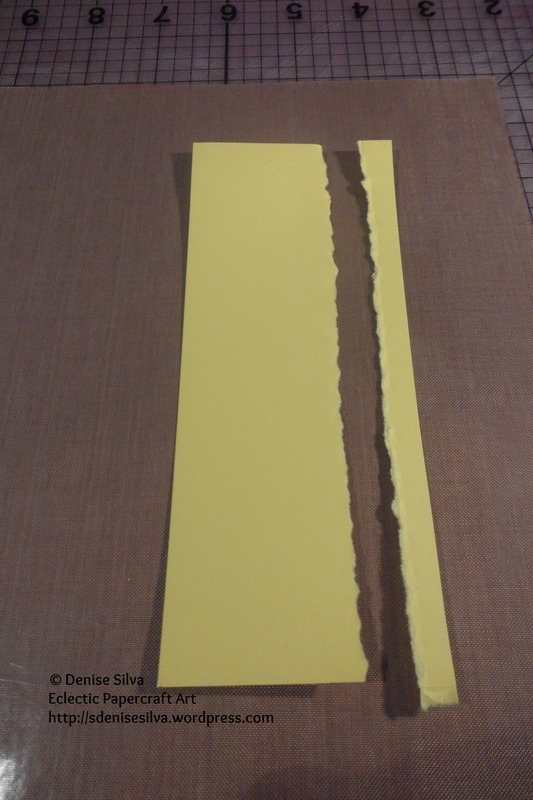 Some sort of glue. 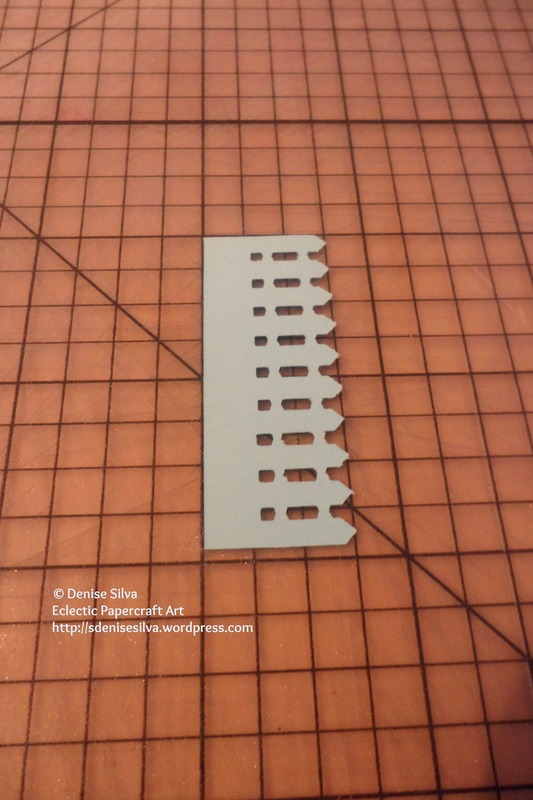 I used snail adhesive, glue dots and a bit of liquid glue for the corners near the punched areas. 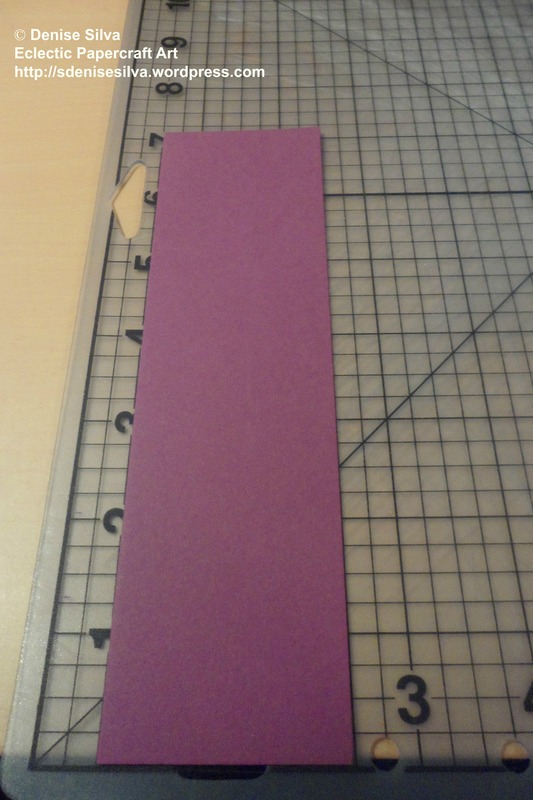 A piece of purple cardstock measuring 21cm x 5cm punched with the Scalloped Tag Topper Punch for the first layer. 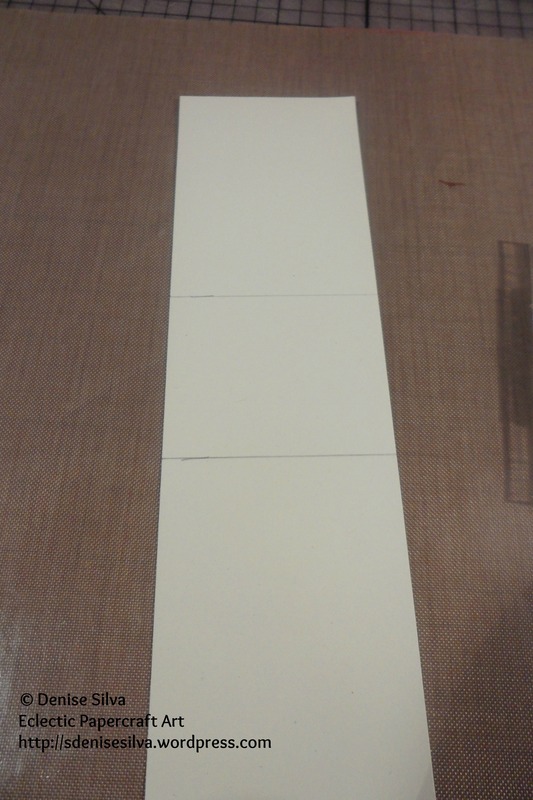 For the second layer, I distressed the white piece of cardstock measuring 19cm x 5cm, with the Festive Berries distress ink, and punched the corners with the Small heart punch saving the punched out hearts. 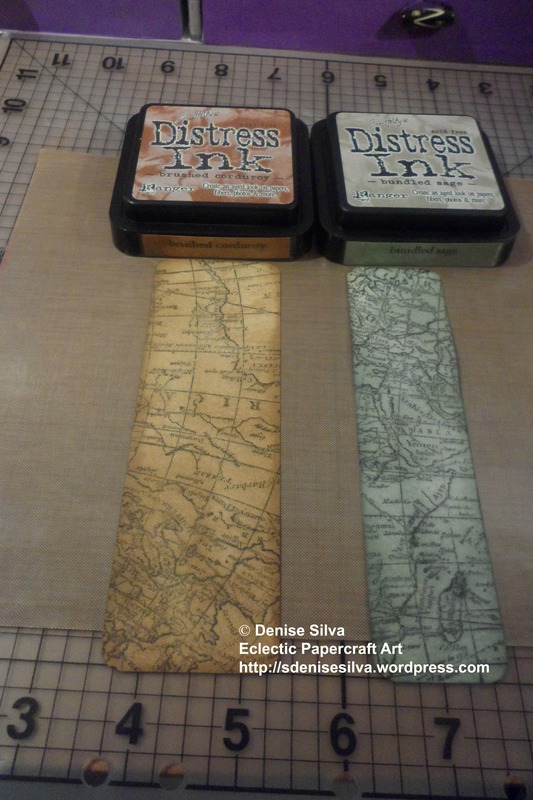 Because when we use the distress inks we always start from outside the paper, there is always ink left on the protective craft sheet. 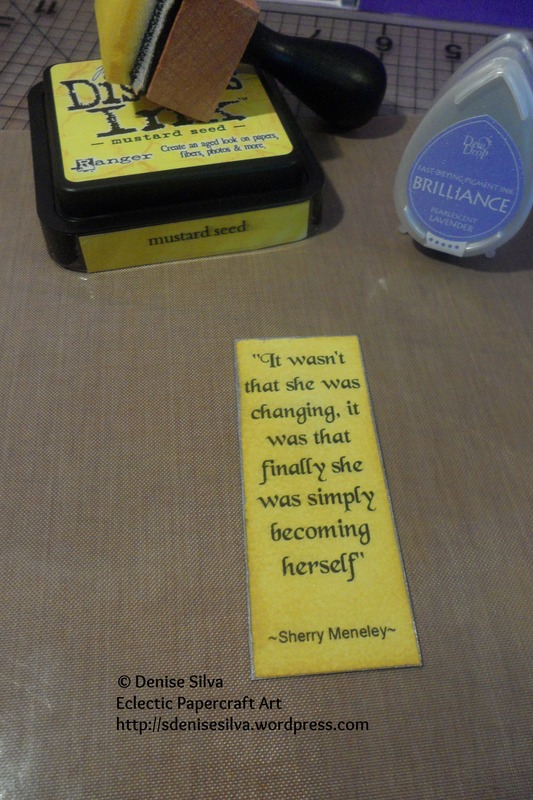 With a Stampin’ Spritzer Bottle, I sprayed a little bit of water on top of the ink left behind and rubbed my printed quote on it. 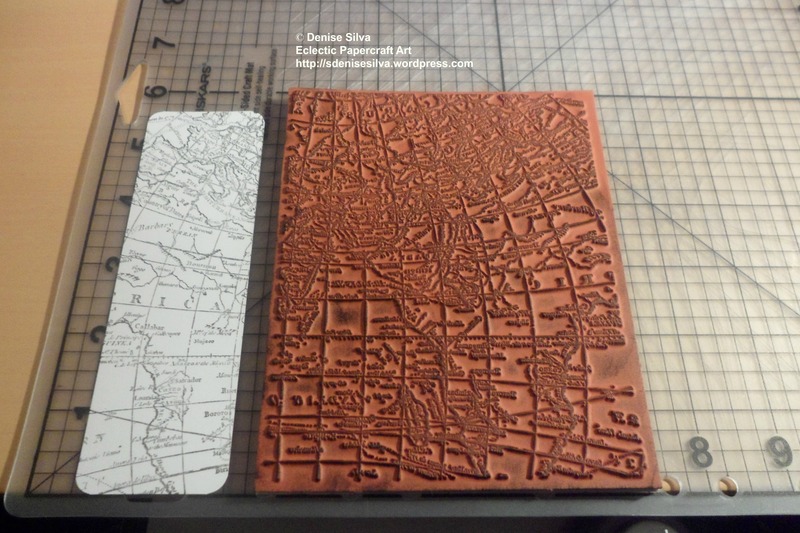 Then I used the heat gun to dry it (if you don’t have a heat gun just allow it to fully dry). 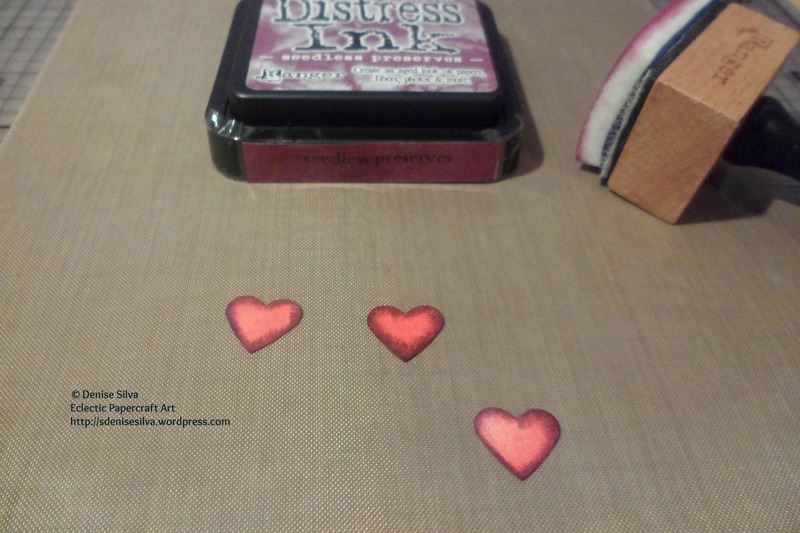 I then sponged the edges with the Seedless Preserves distress ink. 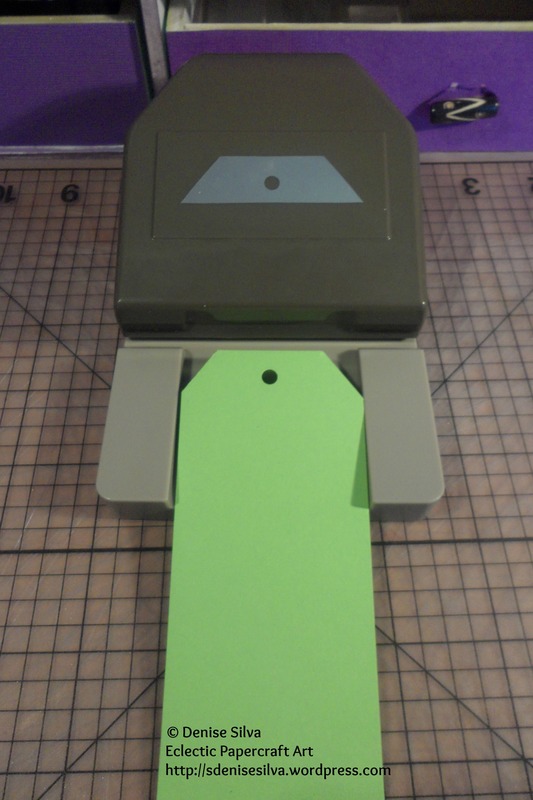 All that I need it to do was… Yep, the gluing part to finish it off.